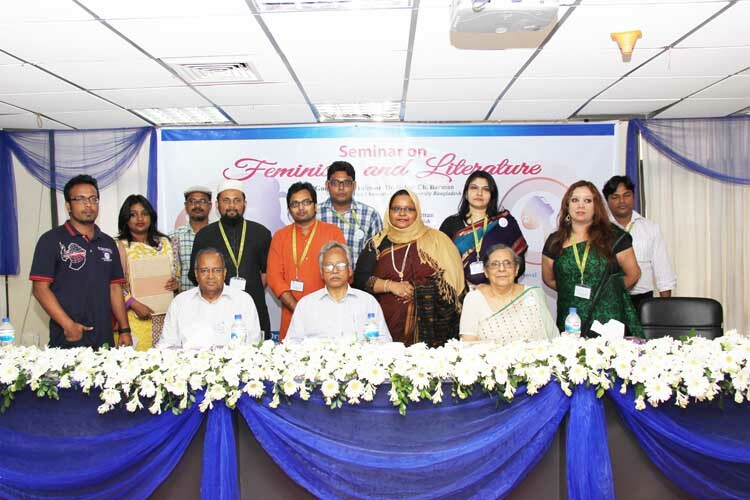 The Department of English, ASA University Bangladesh organized a seminar on " Feminism and Literature"
The Department of English, ASA University Bangladesh organized a seminar on " Feminism and Literature" on 15 June 2015.Professor Dr. Dalem Chandra Barman, the honorable Vice Chancellor of ASA University Bangladesh was the Chief Guest while Professor Abu Daud Hasan, Dean Faulty of Arts and Social Science, and Chairman, Department of English, ASAUB, Chaired the seminar. 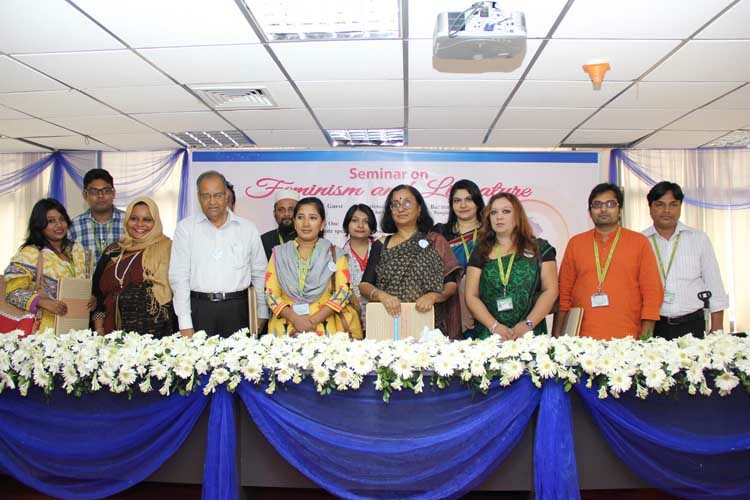 Prof. Dr. Niaz Zaman Advisor, Department of English Independent University Bangladesh and Professor Firdous Azim, Chairperson of BRAC University delivered respective presentations on" Aspects of Feminism" and " Feminist Theory and Women' s writing: Reading the English Novel" in two consecutive sessions. 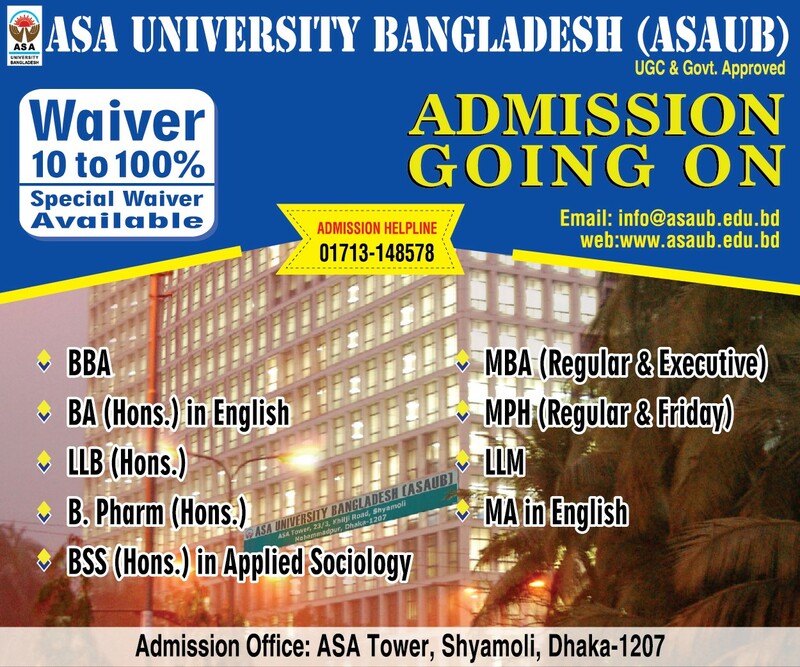 Professor Muinuddin Khan Advisor of ASAUB, Mr Khalequezzaman, Registrar along with other high officials of ASAUB were also present. Teachers and students of the English department were also in attendance. Professor Niaz Zaman highlighted the comparative statistics of the relative undervaluation of womens' writing in literary history. She concluded her paper by focusing the importance of " Gynocriticism" a female framework to analyze, create and further develop womens' writings.